Some quick stuff which might be worth a watch over Halloween. The Purge (James DeMonaco, 2013) is set in a near-future America where the government has sanctioned one night of the year as a 'Purge' night, during which all crime is legal, in an attempt to cleanse society of undesirables. One man (Ethan Hawke), who has made a fortune from selling security systems to those who can afford it, fins himself as his family in trouble when a stranger is ill-advisedly admitted to their house during the night. 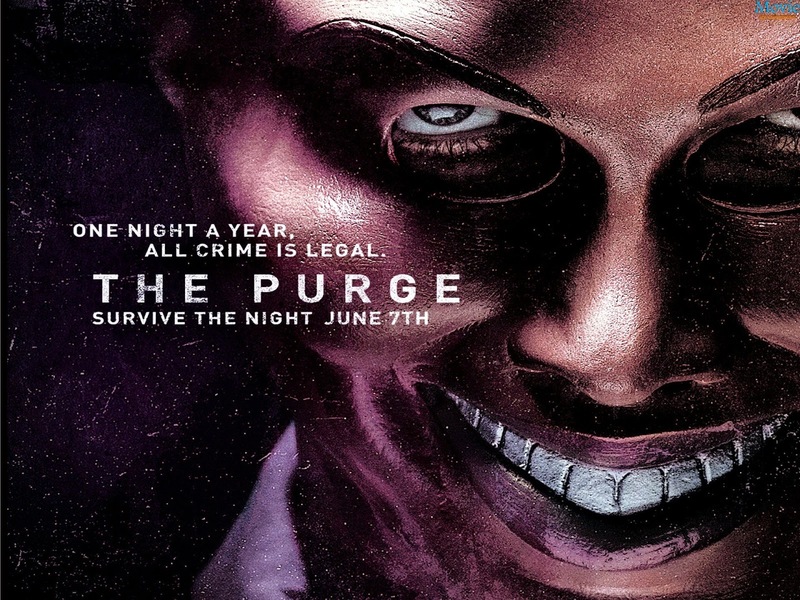 There's actually a smartly satirical concept at the centre of The Purge, which promises brains as well as action. Unfortunately that premise has been stabbed, kicked and beaten senseless by the dim-witted, cliched horror movie tropes around it, leaving it barely alive by the end of the film. As a result, a potentially smart dystopian sci-fi is really dumber than a bag of hammers, so I've already purged it form my mind. Then again, it has spawned 2 successful sequels with another to follow, so what do I know? Eyes Without a Face (Georges Franju, 1960) is a classic French horror film about a mad scientist (Pierre Brasseur) who attempts to transplant the face of a kidnapped girl to the disfigured face of his daughter (Edith Scob). It's a fairly macabre tale, but presented in poetic, expressionistic style, rather than outright horror. As a result, it isn't that scary, but it is filled with striking images and memorable sequences, as well as being open to several interpretations if you fancy restoring some brain cells after watching The Purge. 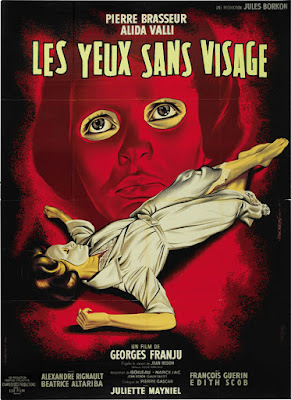 It's a regular fixture on 'Great Horror Movie Lists and inspired the likes of Almodovar's The Skin I Live In and Michael Myers' mask in Halloween, as well as being directly referenced in Holy Motors by casting Edith Scob herself. Worth seeing, all I felt it fell short of outright classic myself.